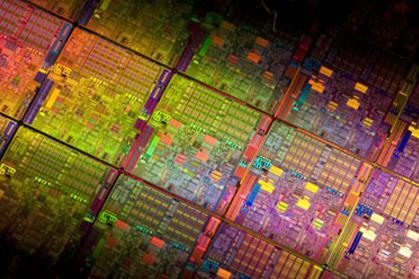 AMD and ATI GPU stalwart Sapphire has announced it is building a range of Intel motherboards. The Intel products are all being made by Sapphire in Taiwain, and will be available direct from the company. Sapphire showed PC World at CES an X58 motherboard, called the SAPPHIRE Pure Black X58, which supports the Intel core i7 series of processors. The X58 board includes on-board USB 3.0 connectivity, SATA III, six dual channel DDR3 memory slots and 3 Gen2 (x16/x8/x8) and one Gen1 (x4) PCI-Express expansion, as well as a host of peripheral connections and on-board 8-channel audio. According to Sapphire, the SAPPHIRE Pure Black X58 is aimed at enthusiasts and enjoys many features to support overclocking. To this end it describes the board's power sections as "highly stable, featuring the same type of solid capacitors and the patented SAPPHIRE Diamond Black chokes with coolers that have featured on some of SAPPHIRE's high end graphics cards". Start, reset and BIOS reset buttons are provided as well as a number of signal and voltage test points on the board in addition to a numeric LED status code indicator. The company has also added options to the BIOS to help optimise settings.The Sapphire Intel X58 motherboard is just the start, however, as Sapphire has built an Intel motherboard that uses the new Sandy Bridge processors. The SAPPHIRE Pure Black P67 Hydra uses the Lucid Hydra chip to allow a mix of graphics configurations to be used in its PCI-Express slots. A Sapphire spokesman told PC Advisor that the company remained committed to its core graphics card business, and partnership with AMD, but felt that it could widen its product base while retaining its core values of high build quality, and specialist high-end specifications.